When you place a $25 order from the Fall/Winder Idea Book, you can purchase the Rock The Block promotion kit for just $15 (a $44.90 value)!!! 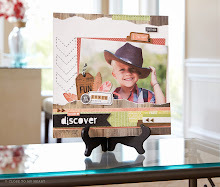 The kit includes an exclusive E-sized ($29.95 value, 8 1/2" x 11 sized) stamp set and the super cute, new product coming out February 1, Collage Cubes! The Collage Cubes are a set of nine 2"x2" paper/chipboard covered cubes that fit in a cute little tray. All ready for decorating! I was a little stumped looking at the cubes, because I didn't have any cute pictures in my stash to put on the cubes, so I decided to make this cute perpetual calendar, designed by Lynn Como. I cut all the letters and numbers with the CTMH Cricut Cartridge, and blinged it up with rhinestones colored with my new rainbow of Sharpies. I also decorated the tray with Lucy papers. SO FUN! Who knew that snow could make me so productive?? I love how the Just Blooms Paradise Paper Flowers already have printing on them! 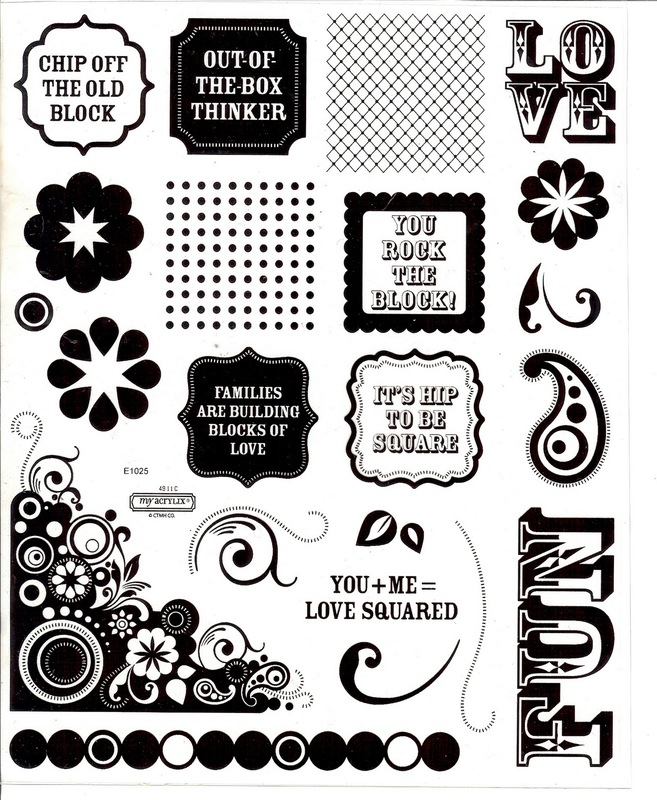 68 flowers in a pack in 4 styles and various sizes. Wheeeeeeeeee! I printed some little Cricut flowers and stuck Just Blooms on top. This was a really fun project to make, but time consuming because of the Sharpie-coloring and gluing. Also, to "finish" my cube edges, before I started decorating, I sponged them with Olive. I used a few drops of Olive Reinker on a plate and a round sponge to distress the edges. I think that was faster than if I'd used a stamp pad to ink my sponge. Don't know, I didn't time myself! I love the idea of using the blocks as a perpetual calendar! Very functional! Can't wait to see in person.